Socialism 2015 – Sydney. The group that refuse to be a voice for the Disabled. Socialism doesnt give a crap about the Disabled Community. As someone with a Disability, an looking into the website posted above. I saw they have nothing on there criteria addressing, let alone to help us of the Disabled Community. This alone is purely a hate crime from the Left Wing Socialists, against the Disabled Community & Hitler would be 100% proud of them. I have been reading a book by Katharine Quarmby, called Scapegoat. In it she addresses how the Racism movement & LGBTI movement groups have been used intentionally to to Silence the Voice of the Disabled, as she sees this action as not only an act of Discrimination, but also a hate crime against the Disabled community. 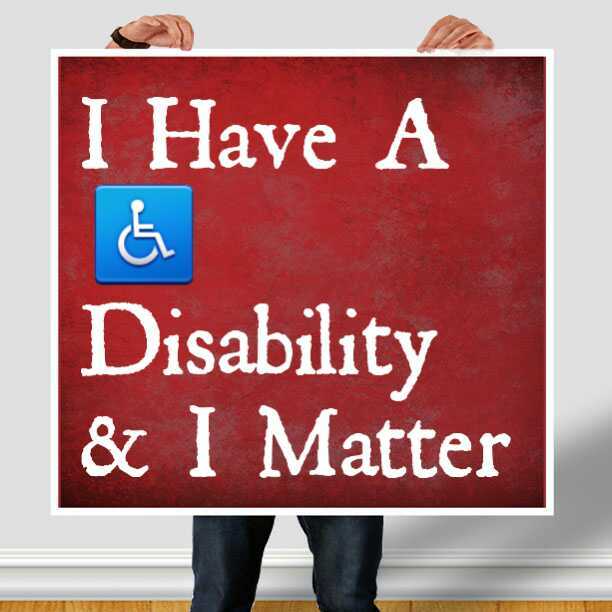 I Have A Disability & I Matter. In this Corrupt Govt Authority System, we still have the Authorities Preying upon us, as we well as intentionally Destroying & Scapegoating our lives. 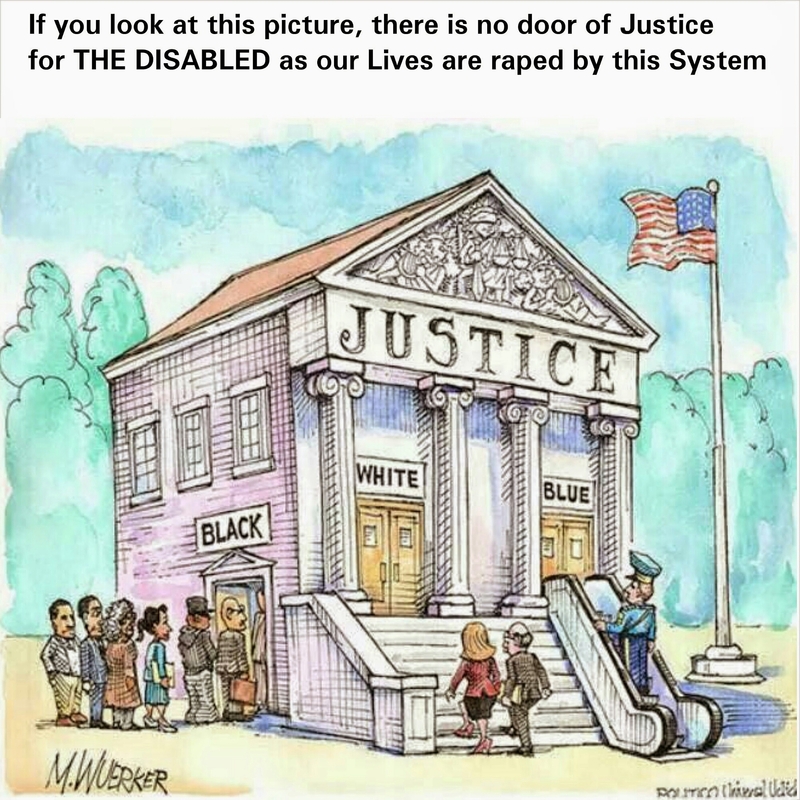 An just like Govt Authorities & Politicians, they only use the Disabled as a pawn for sympathy votes, even in the media. I’m saying enough is enough, the communists are just as bad as the nazis an the capitalists together, this also includes the socialist communists/marxists/maoists/leninists/stalinists/fascists. You have betrayed our community & the blood of the Disabled is on your hands as much as it is on Govt Authority hands. Socialism, It plays the mask that its for the Underdog Groups, But as time passes, its Leaders Change, an so does it Goals. Looking to this Website above, of the Socialist Conference, They have nothing covering the Disabled Community, to which I am also apart of. This is outright Discrimination of the Socialist Community, they claim to be a voice for us, an just like any other Political or Govt Authority Faction, they use our Group as Pawns to further there own Twisted Agenda.. I would equate them to National Socialists aka The NAZIs of World War 2, because they have betrayed Our Community for to Long. Of course they have groups like Anonymous, Occupy & the Anarchists Behind them, with them not speaking up for us, they too are no different than the Nazis. Todays Socialism still Holds to Protecting Racial Groups, an still cant Tell what Race Islam is? I have no quarrel with that, as we are all apart of the Human Race. Todays Socialism also holds to upholding to peoples sexual preferences, again no quarrel with that either, as you will find even the Disabled Community, envelop both of these groups. But when we are rejected an let alone, still not seen as a group in the socialist groups, this is outright betrayal. As someone with a Disability, I have also experienced Hate from the Socialist Community, because I may hold to a stance different than there own, but I am happy to hear both sides, an make the Decision for myself, as this promotes Equality of choice. As for this Conference, above, there is no sign of Equality, let alone Diversity for the Disabled Community to Voice how we are still being Oppressed by our own Govt Authorities.